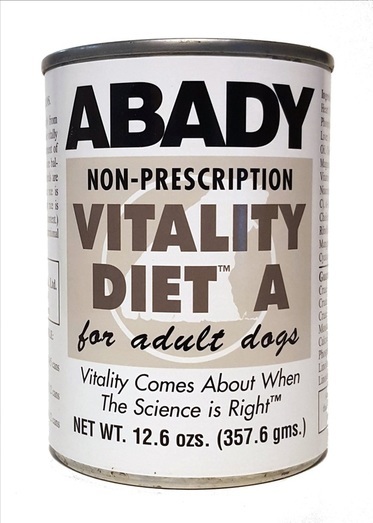 Abady Vitality Diets™ are manufactured primarily from an assortment of beef and beef internal organs. These vitally important protein sources deliver the! full complement of amino acids needed for sound health. Fatty acids are bal­anced for all health needs and vitamins and minerals are properly represented. A small amount of white rice is included to help balance glucose levels. (Brown rice is avoided because of its high fiber and gluten content.) Abady Vitality Diets™ combine advanced nutritional science with the healing powers of Nature.